We currently have both day and evening time slots available for piano lessons. Lessons are weekly, and start at $25.00 per half hour. We also offer in-home lessons for an additional fee at your Lehigh Valley home. Nate has 13 years of training and 23 years of experience playing piano. He performed extensively in his late teens in churches, schools/universities, nursing homes, concert halls, etc., throughout the US (and even a couple performances in China!). It took a while, but he finally discovered he felt more joy in teaching than performing. He has been teaching piano for the past 4 years. He's taught students ranging in age from 5 to 89 - it's never too late to start! Nate likes to incorporate music theory, music history, and ear training into his lessons, and strives to incorporate each student's individual interests to create active and interesting lessons to keep students engaged. To schedule lessons, contact us through our "About" page. Pictured: Nate (on the left) performing at the Hopkins-Nanjing Center in Nanjing, China, circa 2007. 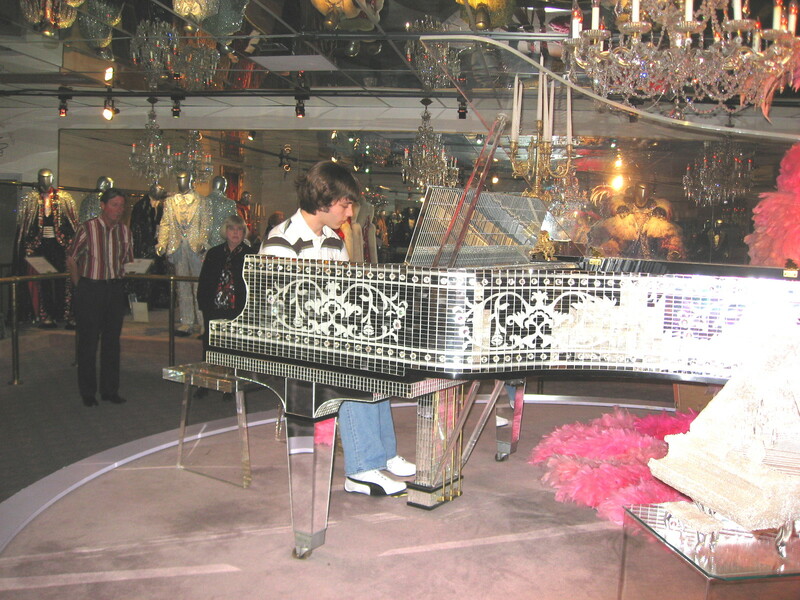 Pictured: Nate performing on Liberace's famous mirrored Baldwin grand piano, circa 2007.